Sugar Frosted Goodness! 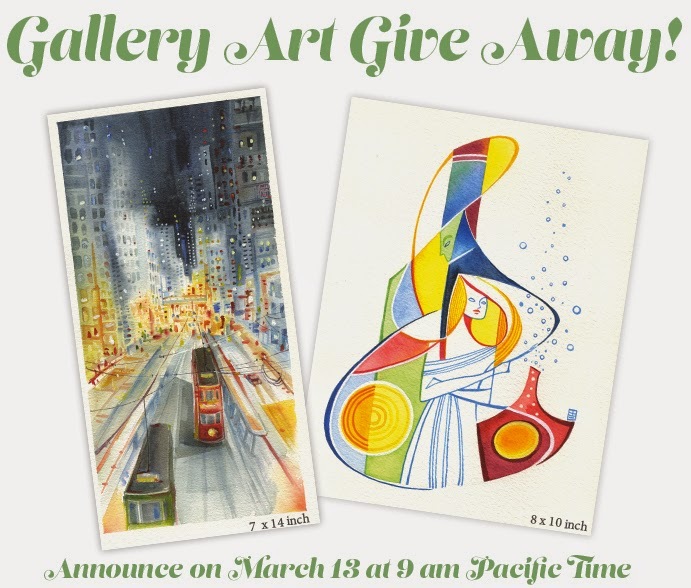 : Original Gallery Art Give Away! Original Gallery Art Give Away! I can't thank all of you enough to help me reach my campaign goal. This is the last original art give away. I will randomly select two luck winners and announce the result on the last day of the campaign, on Friday, March 13, at 9am. The cityscape painting is a special edition original painting created for Acquerello III. It's painted in Hong Kong during my travel. The abstract piece on the left, is a gallery painting, which is first exhibited at Asterisk Gallery, San Francisco at the "Party Mix Tape" show with Beehive Society. Please continue to support this campaign. We are getting very close to the first stretch goal! !